← Squirrels: The Final Chapter. Hopefully. 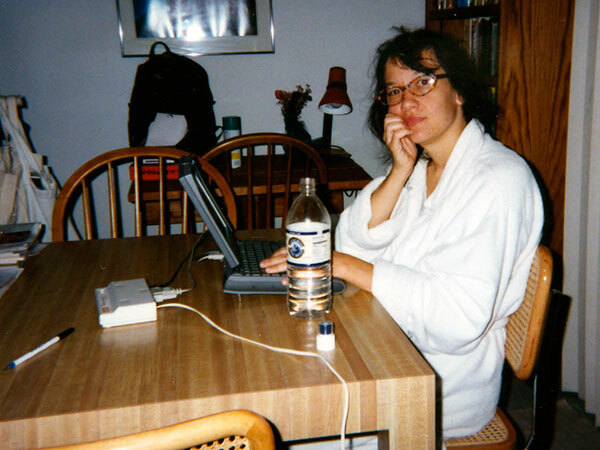 Here I am at our first apartment, 1997-ish, Mac Powerbook 520 with my top of the line modem. Twenty years ago today I first started my website. I was ahead of the curve, one of the first kids on my block to have a page and then later my own domain. I blogged steadily all through the mad gold rush days of blogging when people made money posting about their pets and sandwiches. (Not me, obvs.) Now that blogs are almost dead, I am still here with the same three loyal readers. In those days you had to learn how to do html and build the pages yourself. It wasn’t this app-crap where you take pictures of yourself and press a button so that it’s online and then you sit back and wait for other people to press buttons so you know they like you. The earliest version the Wayback Machine has is August 1999. I switched to Blogger February 2001 and it looks like I got my own domain in June 2001. Here’s my post from my ten year blogiversary. 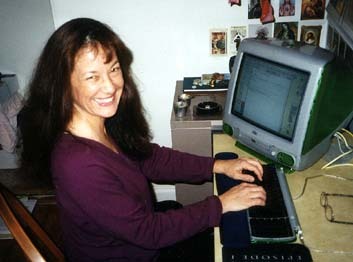 Me and my lime green iMac. I think I had to switch to Turdpress in 2011 and I’m still not happy about it, but here we are. I wanted to re-create one of my older posts that I have archived but unfortunately, I just don’t have time to recreate the whole thing with the background and layout from them. There are classic ancient archives still posted that you can find here. The oldest is from our first trip to Germany for our one year anniversary in 1997, posted in 1999. 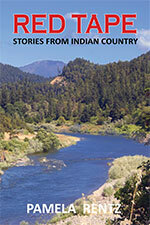 Here’s an old story 1997 from that I just put into a WordPress post. I felt it was fitting after my week with the squirrels. My schedule is going to be insane until the end of the month. Posting more sporadic than usual.